They say old soldiers never die; they just fade away. Then there’s Billy Waugh. On December 1, 1929 the Waugh family of Bastrop, Texas added a baby boy to their ranks. It would have been difficult for his parents or anyone else in Bastrop to imagine the remarkable life that boy would live. In 1948, Billy joined the US Army and graduated Airborne school the same year. In 1951, he fought in the Korean War with the 187th Airborne Regimental Combat Team. After the Korean War, Billy was accepted for Army Special Forces training. 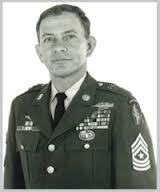 In 1954, he earned his green beret and joined the 10th Special Forces in Germany. Little has been published about Waugh’s time with the 10th in Germany, but he likely spent much of it preparing for work behind Warsaw Pact lines and for the possibility that the Soviet Army might cross the Fulda Gap into West Germany. In 1961, US President Kennedy was optimistic about what US Army Special Forces teams might achieve in Viet Nam. Billy Waugh was one of the many remarkable American soldiers who proved JFK right. In 1961, Waugh left the United States for a quick tour of duty in Southeast Asia and forgot to tell anyone that he would be gone for nearly a decade. In 1965, Billy lead an advance patrol of a Civilian Irregular Defense Group to what had previously been identified as a North Vietnamese Army (“NVA”) camp with less than 200 NVA soldiers. Unfortunately, the camp had since been reinforced by both NVA and Chinese forces and contained over 4,000 enemy troops. After inflicting heavy casualties on the enemy, Waugh was badly wounded in his head and legs and left for dead by the counter-attacking communist forces. Waugh later regained consciousness and managed to make it back to where his team maintained a defensive position. He was successfully evacuated to a field hospital. In spite of his severe wounds, Waugh survived and underwent reconstructive surgeries and physical therapy at Walter Reed Hospital. Everyone understood that Billy’s army career was over. Everyone except Billy, that is. Remarkably, he regained enough of his health and ability to avoid a medical discharge from the Army. Everyone then knew that with his long combat experience and years of training, he would make a fine administrative Non-Commissioned Officer. However, Waugh had something else in mind. He managed to wrangle a transfer back to Viet Nam to serve in a Special Forces Headquarters. After getting himself back to Viet Nam, it wasn’t long before he managed to get away from a desk and back into the jungle with combat teams. In 1966, Waugh joined the elite, inter-service Studies and Observation Group. This group frequently engaged in hair-raising, but successful, schemes to harm the NVA and Viet Cong Guerillas while assisting Laotians, Cambodians, and rural Vietnamese in developing defensive skills. In 1971, Billy took part in the first recorded High Altitude Low Opening jump into enemy territory ever conducted. After the Viet Nam War, Waugh retired from the US Army. During his Army career, he was decorated with many medals, including the Silver Star, the Legion of Merit, four Bronze Stars, four Purple Hearts, four Army Commendation Medals (with V for valor), and an incredible fourteen Army Air Medals. If not for the clandestine nature of so many of his combat missions in Southeast Asia, he likely would have received multiple awards of the Distinguished Service Cross, or possibly a Medal of Honor. I doubt that it would have mattered much to Billy Waugh. He got what he had wanted all along, which was a chance to serve his country and to defend freedom. He and his many fine cohorts did both magnificently. Waugh’s idea of retirement was to spend decades in the CIA, both on the employee side of the shop and the contractor side of the shop. Between his various periods of service with the CIA, he used his “fun time” to earn a Masters Degree in Criminal Justice from Texas State University. Note to graduate students: Stop whining! What you’re doing is what people like Billy Waugh do for vacation. Waugh’s decades of service for the CIA included time in corners of Africa and central Asia where reasonable men don’t go. As a result, Billy was instrumental in locating and tracking Carlos the Jackal in his refuge in Khartoum. Thanks to him and his coworkers, the US was able to give France the details concerning Carlos’ location and activities, which allowed the French to capture and imprison Carlos in France without any diplomatic entanglements for the US. Billy also tracked another infamous scumbag criminal that was, at the time, less known — Osama Bin Laden. Billy and his team tracked Bin Laden and were prepared to kill him, but, unfortunately, they did not receive permission to do so. After Bin Laden’s followers committed the 9/11 atrocities against the US, a youthful 71-yr-old Billy was among that small handful of Americans who entered Afghanistan to coordinate with the Northern Alliance against the radical Islamic Taliban. They succeeded quickly and efficiently with a remarkably low cost in lives and wealth. The fact that the US later squandered their success by propping up a weak, corrupt facade of a government in Kabul while failing to gain real cooperation from the splintered government in Pakistan in no way lessons the remarkable achievements of the CIA personnel who lead the charge against the Taliban. The full extent of Billy Waugh’s past and current activities remains unknown, but I know this. Billy Waugh asked for nothing and gave his all. We extend our gratitude to Billy Waugh and to his many fellow Viet Nam Era veterans who have done so much for the intelligence community and for this nation. You can learn more about Billy Waugh at his website, SGM Billy Waugh. There, you can find his books, HUNTING THE JACKAL and ISAAC CAMACHO, AN AMERICAN HERO. Be prepared to be amazed. Once again, a post that makes me appreciate the real “spooks” — the few I know and one of many I had not heard about. Thanks for taking the time to make me aware of this brave, dedicated American. Hi, Gloria. I’m glad you enjoyed the article. Billy Waugh’s book is well worth your time. Holy cow, this guy is amazing. Any fraction of what he did would have constituted a full career for anyone else. Hi Dave. He is indeed amazing. It pains me to remember how badly he and his comrades were treated when they returned home to the United States after Viet Nam. Another superb profile, Holmes. All that experience, but still learning by going grad school. Imagine the alternate history, how different today would be if he’d gotten permission to act against Bin Laden back then. Will definitely check out this book. Hi Debra. Thanks for coming by. I am sure you will enjoy his book. Debra, I just visited your page. You did a lovely job with your father’s WW-2 pictures. It seems that he and his unit got a full tour of the pacific region. I bet he was glad to get home whenever they finally sent him back to the States. Thanks so much! That was truly a project of the heart. I still have many photos to go, but they’re in worse shape than the rest. I wish I knew more about them. Hi Debra. There may be some reasonable methods available for adding information to photos that you have. For example, although South Pacific locations seem similar at a glance some types of vegetation are specific to much smaller areas. Equipment, weapons and the construction methods used on US military buildings can at times tell us an earliest possible date. At first glance all Hellcat or Corsair aircraft look the same but small details can identify exact production periods. Once you have a location fixed and a time period selected it is easier to search for the identities of people in the photos that are not yet known.The US Army Historical Center at Carlisle Barracks may very well already have a detail time line of the deployments of your father’s unit. Your efforts are obviously important to your family members but they are also of historic value to the rest of us. Thank You. Great post for a great soldier! My dad was with the 187th ARCT during the Korean War. I doubt Billy Waugh & my dad knew each other–but it’s nice to think about. Hi Ted. The 187th conducted a daring parachute drop to cut off many of the retreating North Korean troops. Your father and his companions more than earned their pay. I salute them all.